Doctors, public health workers, and people from the welfare and environmental sectors are gathering in Savar, Bangladesh, at the Gonoshasthaya Kendra University for the 4th People’s Health Assembly (PHA4) which will be held here from the 15th-19th November. I was last at Gonoshasthaya Kendra University for the 1st People’s Health Assembly in 2000, when 1500 people gathered and adopted the People’s Health Charter which has now been translated into more than 50 languages. This charter lays out a progressive vision for health. It was built on the views of people’s movements and organizations from around the world. It expressed the common concerns of these movements, and provided a vision for a healthier world and a call for the social, environmental, political, and commercial determinants of health to be addressed to achieve health equity. Since 2000 it has been a tool for advocacy and a rallying point for the global People’s Health Movement. This movement now has around 50 “country circles” some of which contain hundreds of thousands of people. But whatever the size of the country circle, the PHM uses the charter as the starting point for analysis and advocacy. At the first PHA each country delegation planted a tree in a dry dusty field on the Gonoshasthaya Kendra University campus. That field is barely recognisable now as it has been transformed by the trees into a lush, green, peaceful tropical forest. It stands as a testimony to how restoration and regeneration can happen. The same can be said of the health status in Bangladesh. Under 5 mortality has declined from 144 per 1000 in 1990 to 41 per 1000 in 2012 while life expectancy has increased from just under 60 in 1990 to 72.5 in 2016. While this is much less than the life expectancies of richer countries, which is closer to 80, it is a substantial improvement. An important part of the discussions at the PHA4 will focus on analysing the social and economic factors that account for improvements in populations such as those experienced by Bangladesh. One of the factors that will be debated is the importance of community-based comprehensive primary healthcare, which appears to have played a role in Bangladesh’s health improvement. Gonoshasthaya Kendra offers such services to 1.2 million rural people and 0.5 urban slum dwellers. It is able to do this partly because of an army of paramedical staff who are trained in basic medical techniques and live in the communities they serve. Seventy percent of these staff are women. Like other rural and poor communities Gonoshasthaya Kendra struggles to find doctors who are willing to work with them hence this army of paramedics is vital to providing services. Services are only one part of the complex story of why populations get healthier. Often it is the invisible social and economic factors which drive health. When I was researching the address that I will be giving to the PHA4, I discovered that Bangladesh has not seen such a rapid rise in income inequality as other countries. The World Bank GINI Index for Bangladesh shows that while there was an increase from a little under 28 in 1990 to 33 in 2011 this is less than the increases seen in most other places in the world. By contrast China’s GINI Index over the same period rose from 33 to 53. It is argued that greater economic equity is good for overall population health. One of the topics for discussion at the PHA4 will be the growing global and national economic inequities which pose a threat to health and whether the trend can be reversed. A final crucial issue is the role of gender in shaping population health. Immediately prior to the PHA4 an International People’s Health University (IPHU) course was held and one stream relates to gender and health. The key message was that all attempts to promote health equity must use a gender lens as part of the analysis and action. This chimes perfectly with the work of Kent Buse and Sarah Hawkes and the Global Health 50/50 Initiative. The evidence is very strong that gender equity is a vital aspect of the human right to health. The IPHU students stressed in particular the importance of naming and combating gender based violence and recognising the variety of gender designations. Achieving health equity will not be possible without realising women’s rights to education, literacy, employment, democratic participation and a life free of violence. So I’ve been at Gonoshasthaya Kendra for just over a day and the prospect for an intellectually stimulating, convivial and inspiring PHA4 are looking good. I would encourage all BMJ readers interested in global health equity to follow the twitter hashtag #PHA4 and consider becoming active in your local People’s Health Movement national circle. Our slogan is “Health for All” is possible. 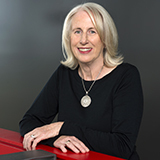 Fran Baum is Matthew Flinders Distinguished Professor of Public Health and Foundation Director of the Southgate Institute for Health, Society and Equity at Flinders University, Adelaide, Australia. She is a member and past Chair of the Global Steering Council of the People’s Health Movement – a global network of health activist (www. phmovement.org).She also served as a Commissioner on the World Health Organisation’s Commission on the Social Determinants of Health from 2005-08.